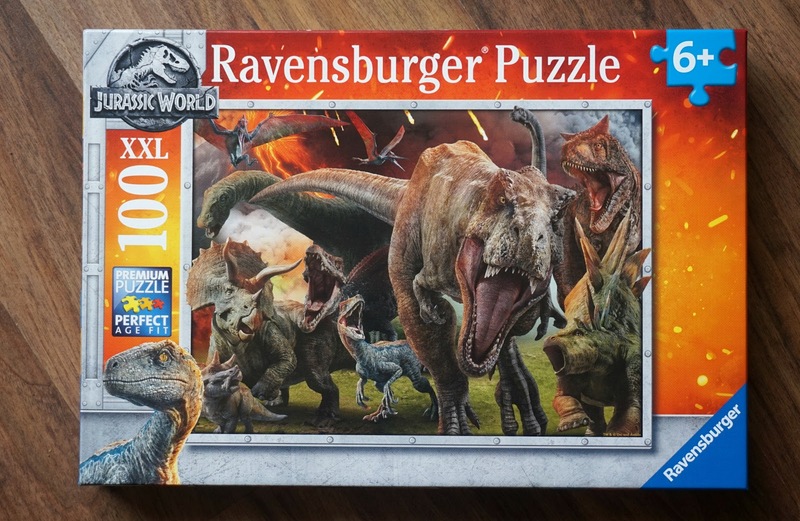 Hello lovelies, we were recently sent this awesome jigsaw from Ravensburger of the new Jurassic World film, Oscar is only 5 but is dying to see the new film with me and his dad. I'm going to have to ring up our local cinema and see if they will let him in with us, he looks about 8 so we may be ok haha. 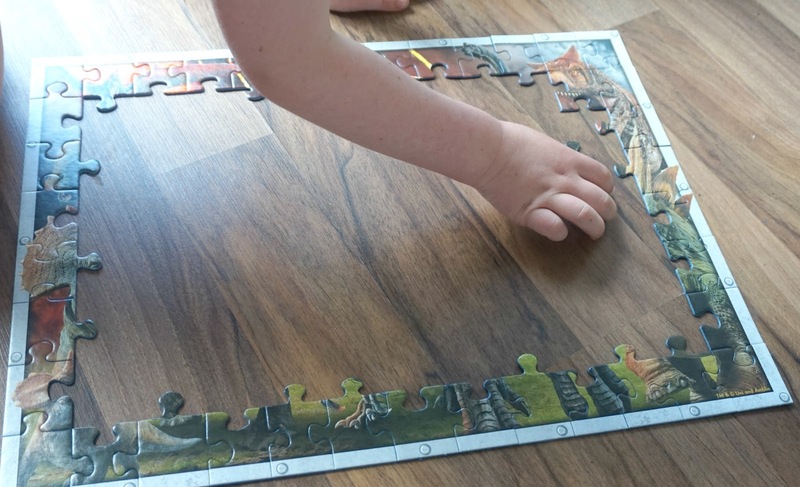 This jigsaw is aimed for 6 year olds but Oscar did a great job at this. 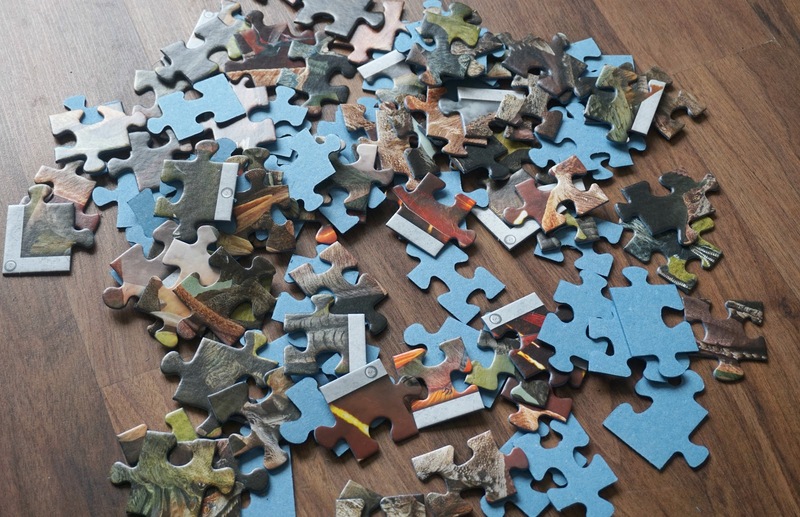 As always we started with the corners and the edges as thats how Dan has always taught me, the jigsaw perfectionist, he is good and enjoys the odd jigsaw! 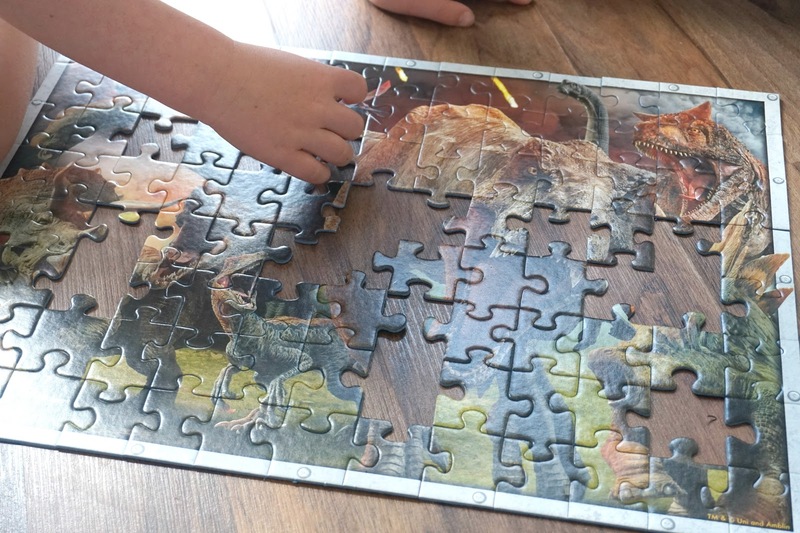 As I started Oscar of with the edges and sides he got stuck in to the centre pieces, I can't believe how well he was doing, as they are all quite similar in colour the pieces he did amazingly. 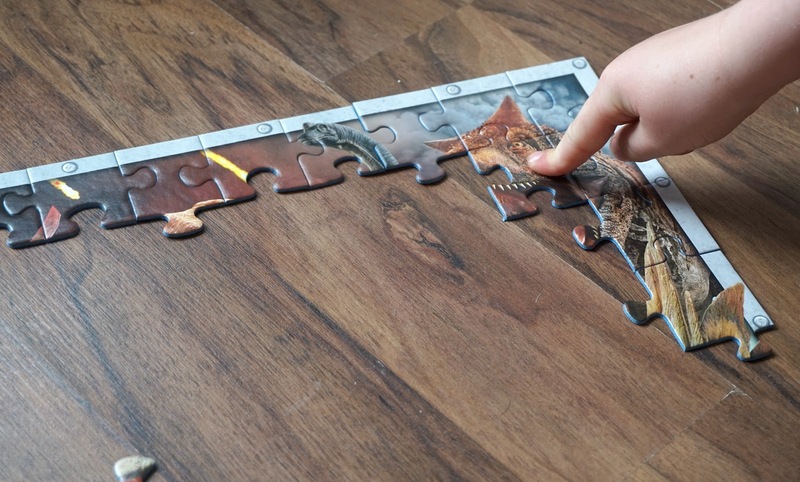 If you have a little one who loves dinosaurs or Jurassic Park they will love this jigsaw, Oscar really enjoyed doing the jigsaw and I did actually and I'm not usually one for a jigsaw. 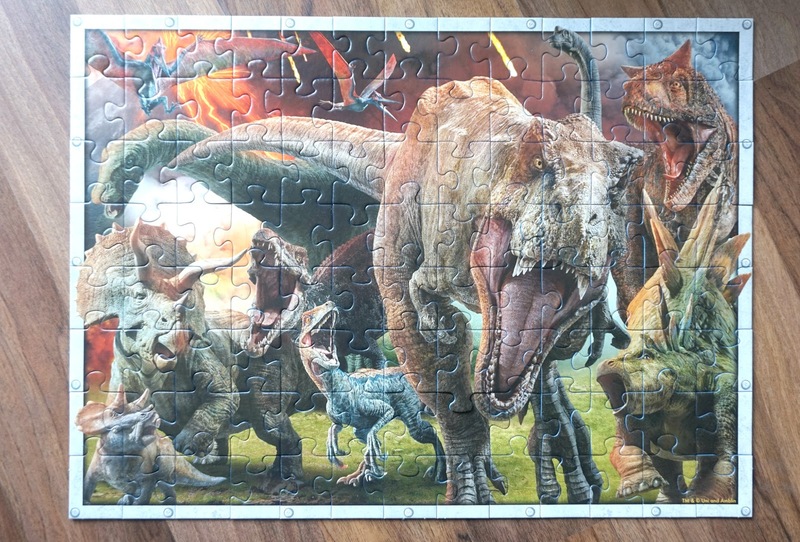 Because the pieces are quite big it didn't feel like 100 pieces, its quite daunting when you hear 100 but we did it together quite fast and had lots of fun doing it, its rare me and Oscar get quality time on our own together so it was really nice.